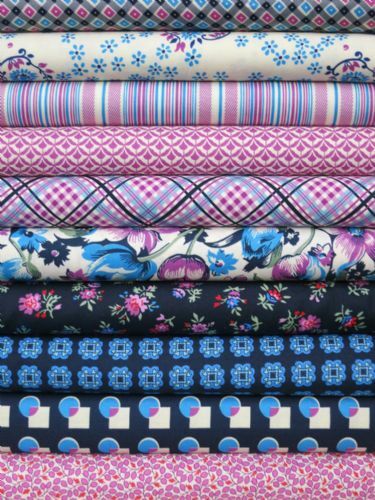 The swirling skirts, foot tapping rhythms, and joyful movement of New England contra dancing inspire Shelburne Falls, Denyse's next fabric collection for FreeSpirit Fabrics. At once nostalgic and thoroughly new, Shelburne Falls embodies the old-fashioned courtliness and small town charm of American Folk dance. Quilt weight cottons in three timeless colorways, for a total of 30 prints. Available early spring 2013. Free Square Dance quilt pattern made with 10-inch charms!